One of the 20th centuries greatest leaders, Winston Spencer Churchill had a side to him which he showed on a regular basis that he was very much a peoples person that he showed the people of England, and the rest of the World, during theSecond World War, in regularly taking to the streets of London talking to the people on the streets assuring them that their attackers were ” going to pay for this “. Many of you might not know that our famous pilot Sailor Malan’s son, Jonathan Spencer Malan, who was born in London in May 1940, Godfather was non other than Winston Spencer Churchill. 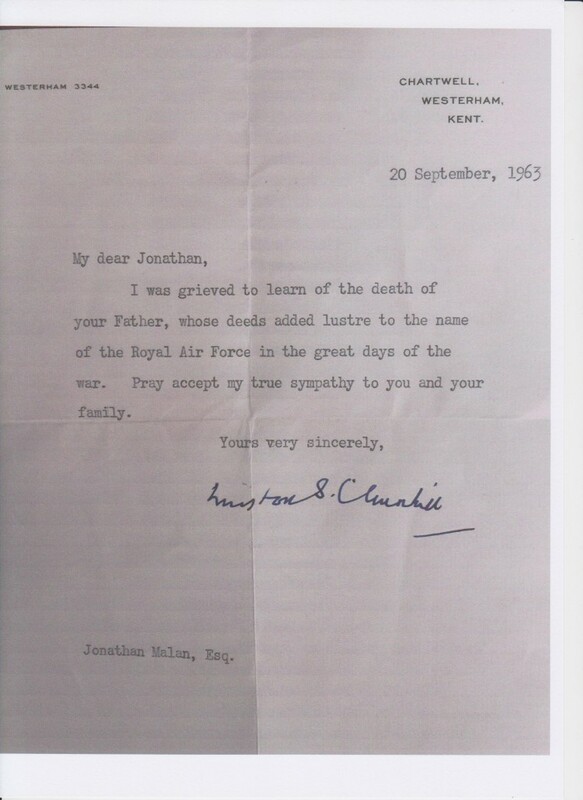 Winston Churchill’s compassion, despite him being nearly 90 years old, is reflected in the attached lette which he personally wrote to Jonathan when his father passed away. Thank you Jonathan for giving us permission to post this letter on our website. 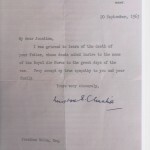 A letter with great historical importance.